SCVHistory.com LW2448a | Plane Crashes | Broken Watches Fix Time of 1936 Plane Crash in Rice Canyon. 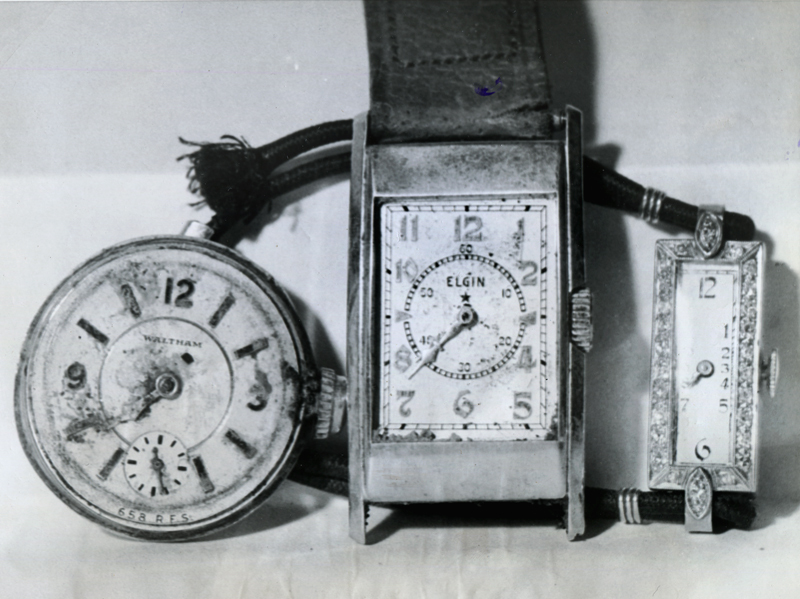 The broken watches of three deceased victims — a Waltham stopwatch, a man's Elgin wristwatch and a woman's diamond-framed wristwatch (maker illegible) — fix the time of the crash of United Flight 34 on a mountaintop south of Newhall at 7:38 (p.m.), two minutes after the last communication from the cockpit on Dec. 27, 1936. 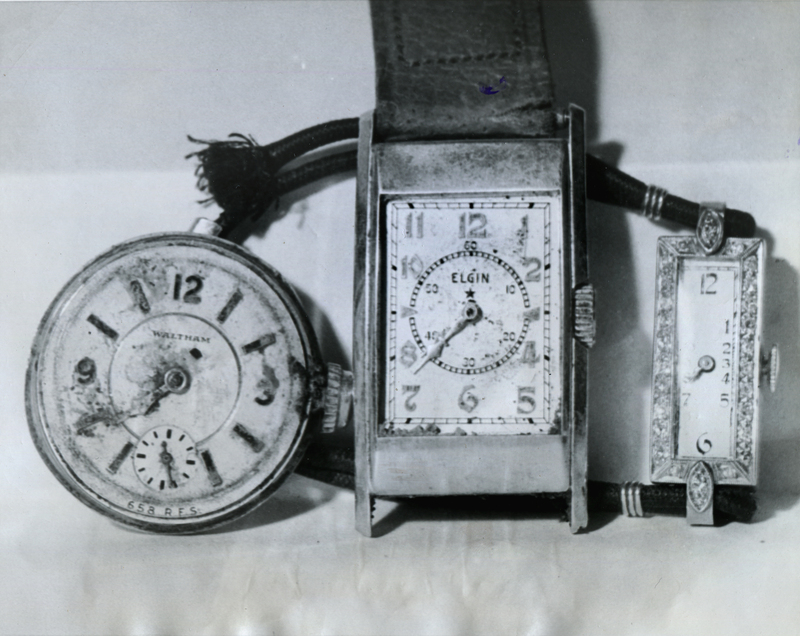 Pictured here are watches worn by three of the victims of United Airlines plane crash. Investigators, endeavoring to determine what caused the accident which killed 12 people, consider them important evidence. They indicate that Pilot Edwin Blom was not lost when the crash occurred, since he had reported only two minutes before the watches stopped. Actually it was the co-pilot who reported to the tower at 7:36 p.m., saying "Just a minute." Maybe he looked out the window and wondered why the ground looked so close. We'll never know. LW2448a: 9600 dpi jpeg from original print purchased 2013 by Leon Worden.